Made by the Danish filmmaker Michael Madsen, this splendidly unsettling documentary aims to answer the very simple question, what would happen if aliens actually did make contact? It starts with the statement “This film documents an event that has never taken place,” but specifies all the people taking part are real. And so they are; a range of eminent lawyers, scientists, political advisers, military experts and philosophers who have the kind of experience in planning and logistics, coupled with the required scientific knowledge, to really explore the concept in a truthful manner. Madsen’s visual essay innovatively proceeds under the basis that we the audience are the alien being visiting, and by having the experts talking directly to us, speaking directly at the camera. In doing so it takes an often revisited sci-fi concept and makes it real and weirdly banal – the actual, practical things that would happen in the real world upon the arrival of a being from another planet. And by including us it highlights quite how baffled by humanity an alien creature might be. What’s wonderfully reassuring is the discovery that the UN has thought about this, they have a department especially considering these things, the Office of Outer Space Affairs, and they are very keen to treat all visitors peacefully. Other experts are also keen to point out they don’t want to provoke a malign response by accidentally miscommunicating. By making the viewer the visitor, we understand very quickly that prospect of panic is significant, that actually the biggest danger to the human race is most likely to be anxiety whipped up by scaremongering media. Something that would be out of our hands. The mob of Twitter and Facebook. Essentially the documentary asks questions about humanity and our desperate inability to cope with the unknown. And more acutely, the level of existential disappointment which would take place if those desperate questions remained unanswered. In presenting us to the experts we begin to wonder can any human actually speak for the human race? We are a planet where, after all, there has never been a time where there hasn’t been war taking place somewhere on its surface. The film is beautifully shot, with lingering city and countryside vistas – people frozen in moments where sometimes they spot us being the silent viewer, and sometimes they don’t. The narration combined with the experts filmed not speaking, looking at us with confusion, leaves us with a sense of calm disquiet. It’s a documentary which as speculative, but grounded and believable, fiction gets right under the skin. It is careful to leave us with a real sense of awe too. Splendidly unsettling indeed. A recommended watch. 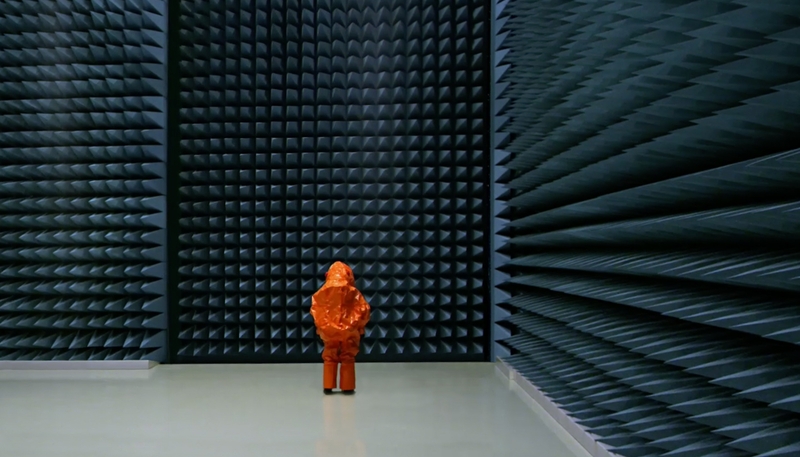 The Visit: An Alien Encounter is released on DVD on Monday 29th February.